Please help with an example of configuration file which actually works. 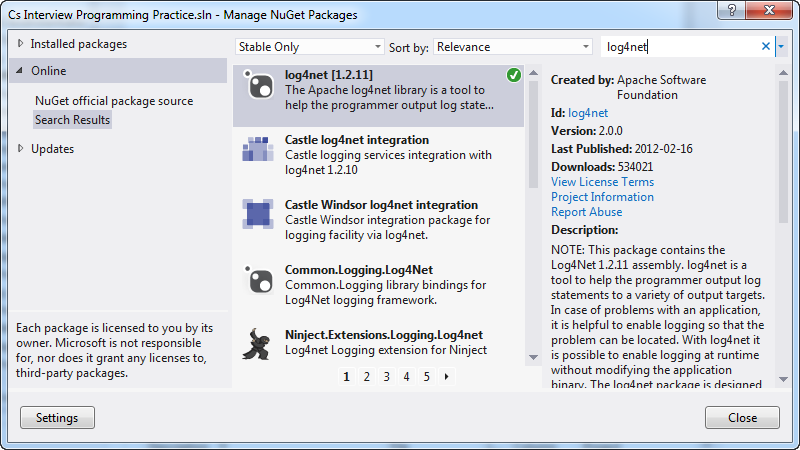 Here is a complete step-by-step guide to adding Log4Net to your project, under Visual Studio 2012 and .NET 4.5. Add a new C# console app to your solution. 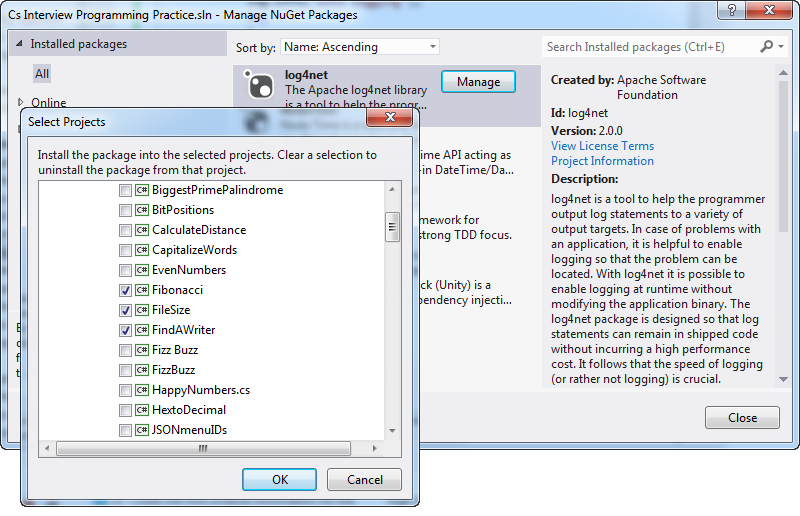 Select Tools >> Library Package Manager >> Manage NuGet Packages For Solution and search for log4net. Install it, and select which project(s) you want to add the log4net references. Add log4.config, right click and select Properties then select Copy to Output Directory - Copy If Newer. In the future, if you want to add log4net to another Project, select Tools >> Library Package Manager >> Manage NuGet Packages For Solution select log4net and click Manage then tick the Projects you want to add log4net to. Did you call the configure method when the application starts for the first time ? If yes. You should be good. Check the file permissions on the disk you are writing. If you want you can enable log4net internal debugging also to figure out what is wrong. One, if you want to use a seperate config file, by adding the following to you app.config file it will configure logging automatically. Otherwise, you need to initiate logging in the start of your application. Not the answer you're looking for? Browse other questions tagged c# .net logging log4net log4net-configuration or ask your own question.